Happy Fourth of July! During this day filled with barbeques, fireworks, and good company, I wanted to take a moment to think about the reason for this three-day weekend and the impact of America’s founding fathers. 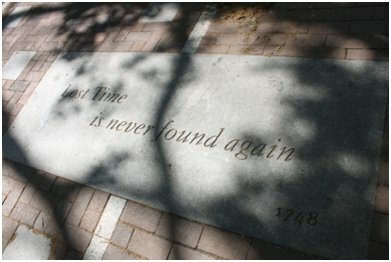 In that spirit, I combed through campus to find images and mementos of one of America’s most prominent founding fathers and Penn’s founder: Ben Franklin. 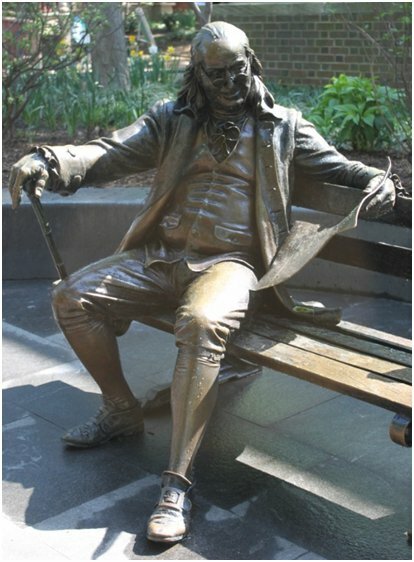 Ben on the Bench. 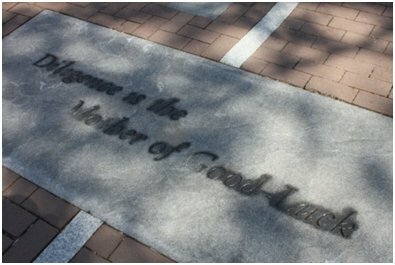 This iconic image of Mr. Franklin sits on the Class of 1962 Walkway and was a gift from this generous class. College Green. 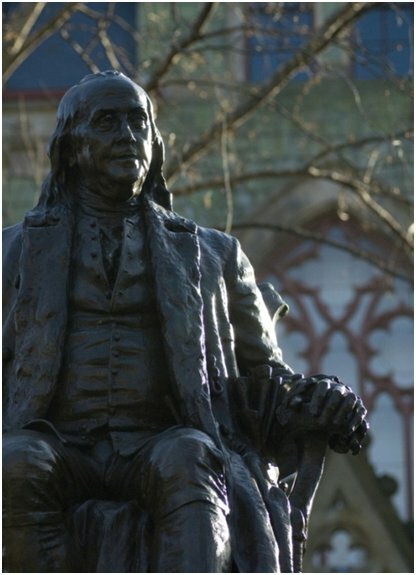 Located directly in front of College Hall, this statue of Ben Franklin has been seen by hundreds of thousands of students, alumni and staff, and serves as the legendary inspiration behind the split button. Young Franklin. 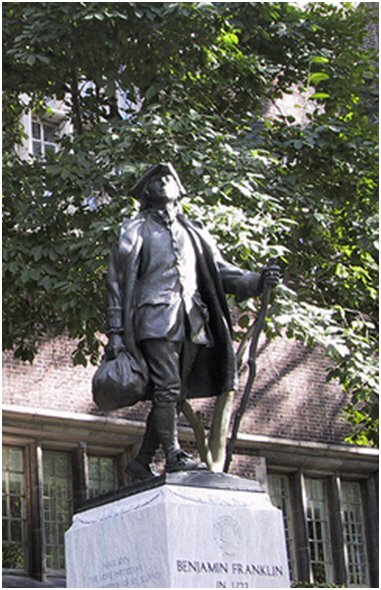 This statue of a spritely Mr. Franklin is located outside of the appropriately-named Franklin Field.